Plan and Code Review for architects, engineers, developers, contractors and property owners. La Vista's Community Development Department provides a comprehensive review process of all development plans and building permits to assure compliance with city codes and ordinances. In addition, La Vista's Building Inspectors perform on-site inspections for all new construction, alterations, renovations and repairs to buildings within the city limits and the extraterritorial jurisdiction. This department also provides staff assistance to the Planning Commission and Board of Adjustment. 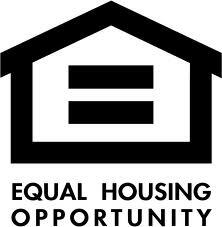 The City of La Vista is committed to ensuring that all housing within our jurisdiction meets the requirements of the Fair Housing Act. 8 a.m.- noon, 1-4:30 p.m.
Do I need a permit for a garage sale sign and miscellaneous small signs? I am digging for construction or gardening, who do I need to call? Can I store a boat, trailer, or camper on my property?